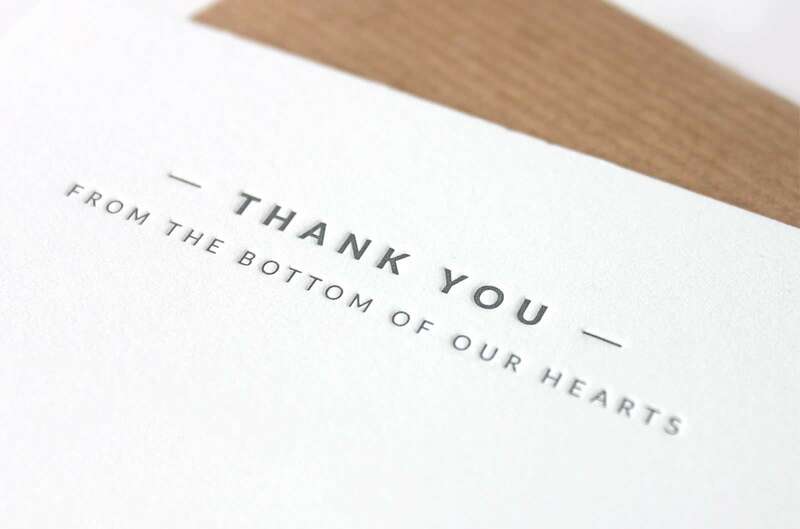 We think that it is very important to say Thank You to the client, and it is great if you do it in sincere, and also an original way. 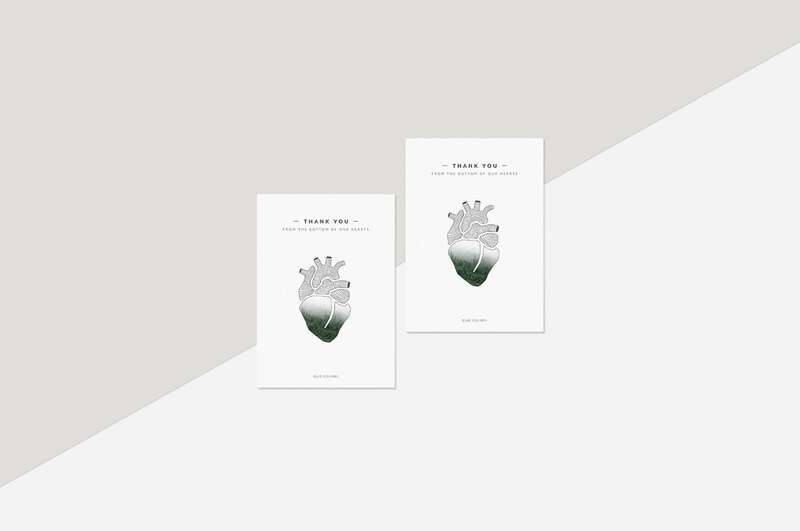 Take a look at those photos – it is a very beautiful work that was created by designer Živilė Banionė. 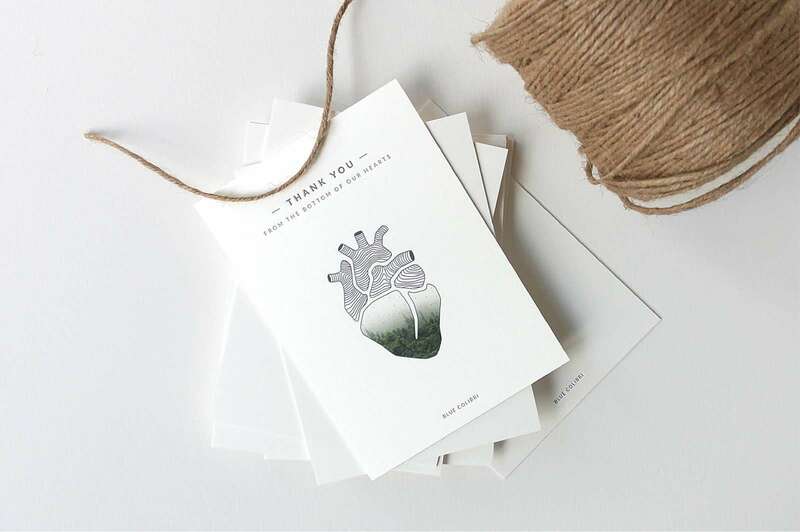 These Thank You cards are for Canadian photographer clients. 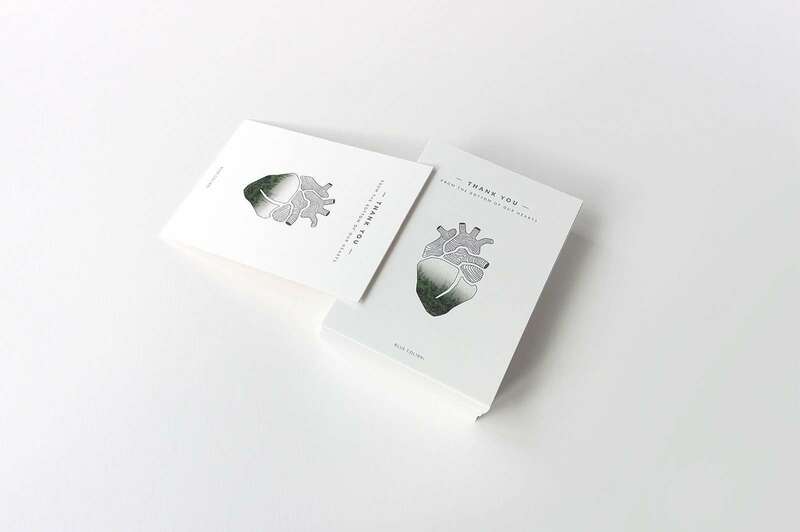 The card design axis is the motive behind the heart, at the bottom of which is reflected photo of beautiful Canadian forests. 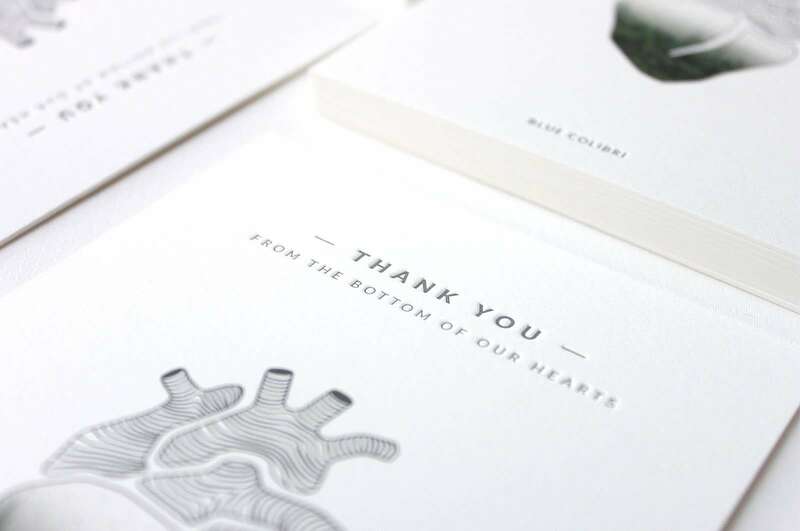 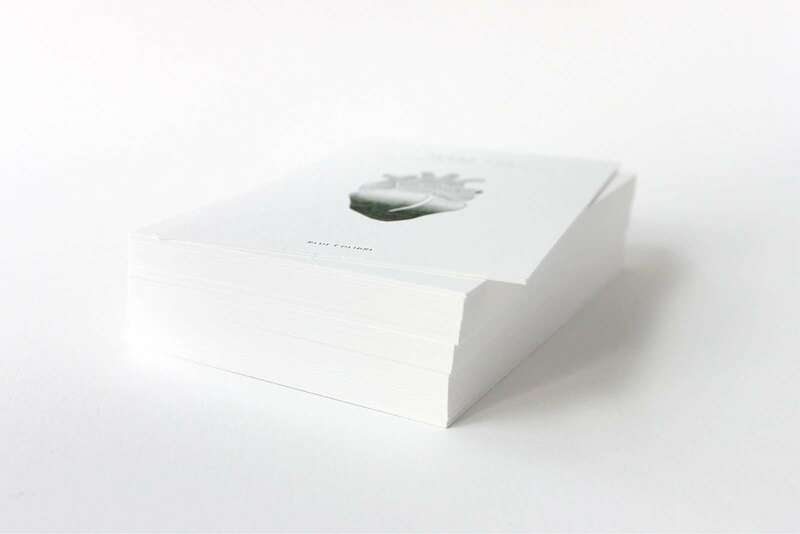 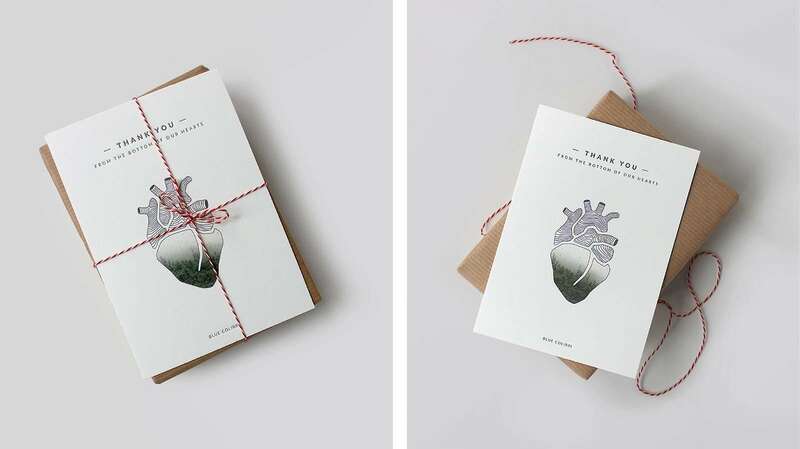 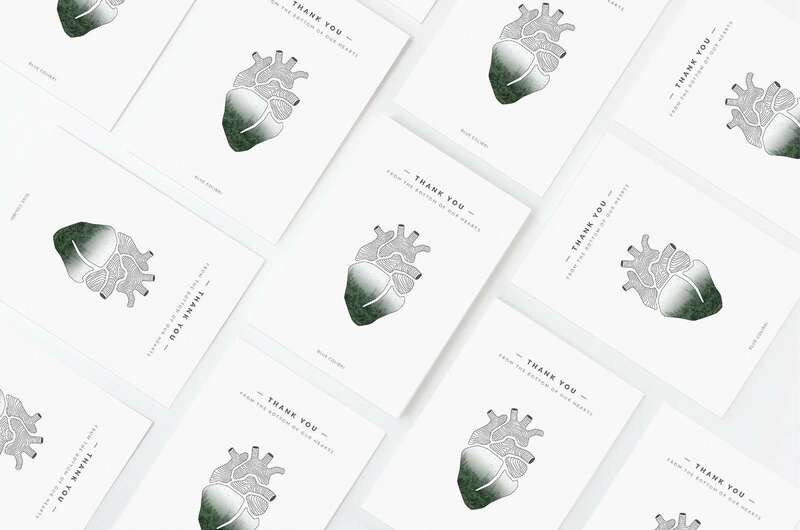 Heart illustration was printed digitally to clearly see a picture of the forest, and light grey texts we printed with deboss – letterpress technique. 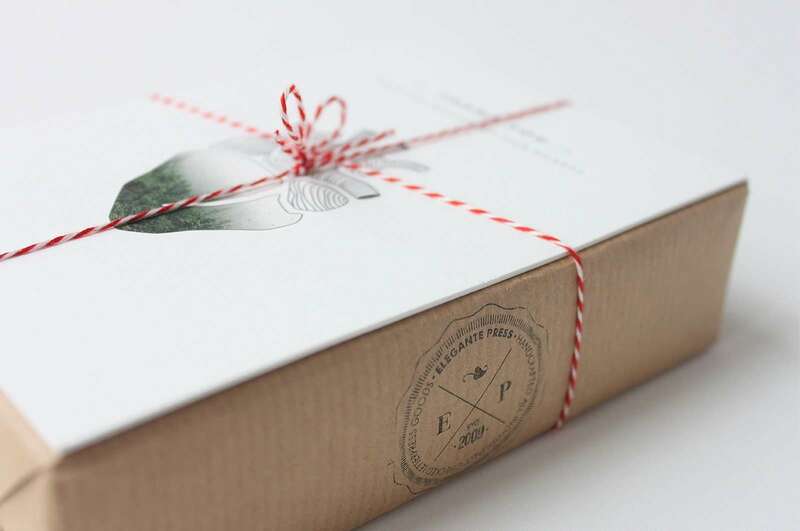 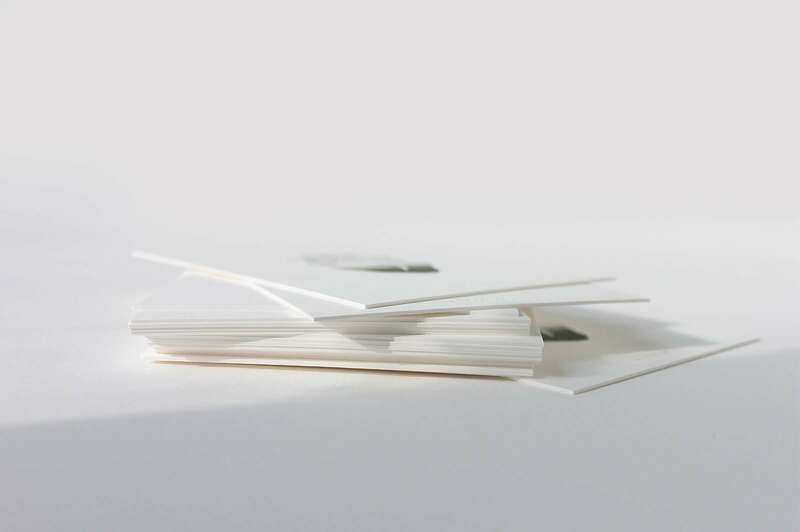 The layout of elements is superb, with enough space left to perfectly reveal the natural texture of the cotton paper. 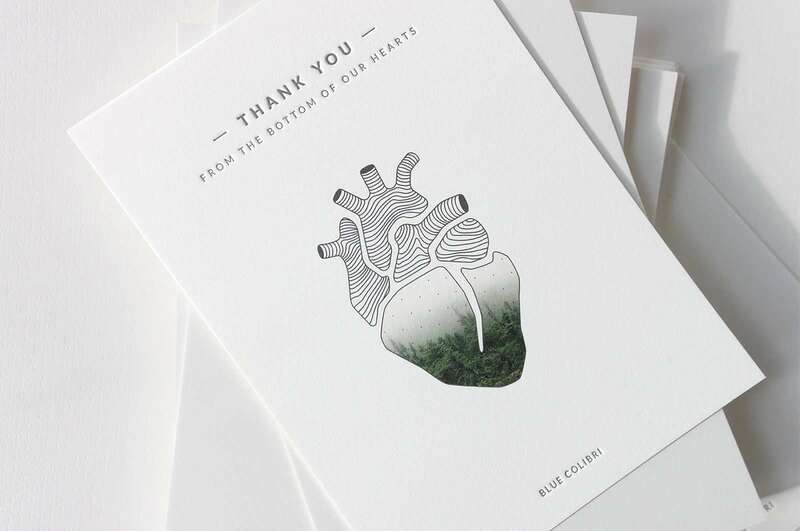 It’s really beautiful and original way to thank. 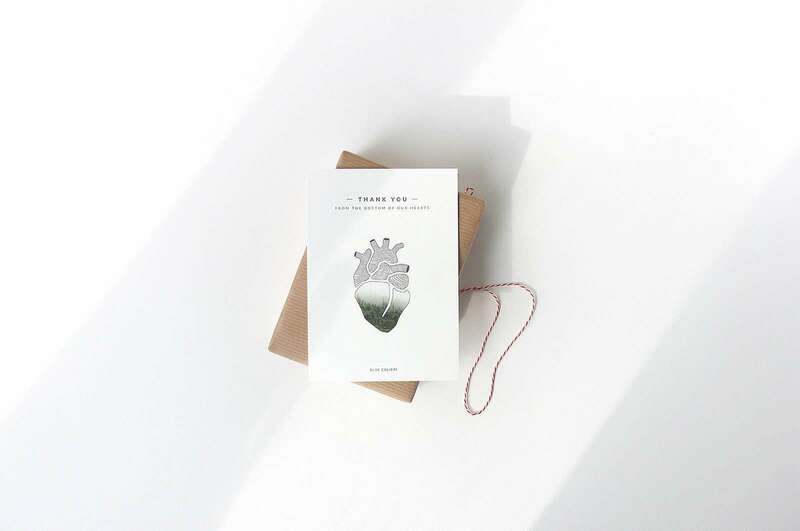 We are sure that such Thank You card will not leave anyone indifferent and finds a decent place on most demanding customer’s desk.